1. Pizza Sauce: Put all ingredients into a pot and bring to the boil, allow to reduce until very thick. Adjust seasoning with salt and pepper. Set aside until ready to add to the pizzas. 2. Pizza Bites: Preheat the oven to 200°C. Grease a baking with spray and cook. 3. In a bowl mix cauliflower, basil, eggs, 1/4 of the mozzarella cheese, parmesan and garlic salt. Season with black pepper. 4. Mix well and then form into small patties (they will be wet) and place on the baking tray, flatten slightly. 6. Top each cauliflower-patty with a thin layer of the tomato sauce. Divide the rest of the mozzarella and pepperoni between the pizza bites. 7. Bake for 5 to 7 minutes until the cheese melts. 8. Garnish with extra basil or a squeeze of All Gold Sweet Chilli Sauce and serve. 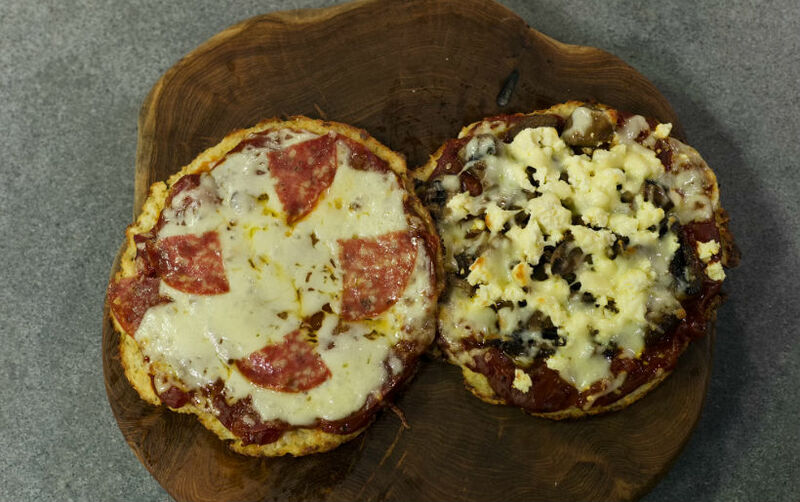 Chef's tip: For a vegetarian option, omit the pepperoni and add sautéed mushrooms and feta cheese. Great lunch box filler and for entertaining. Any pizza sauce left can be frozen or used in pasta dishes or in sandwiches.